The searches were carried out yesterday under Operation Thor. GARDAÍ IN WEXFORD carried out an Operation Thor day of action yesterday, which resulted in a number of arrests and searches in the north of the county. Units from Gorey and Enniscorthy, as well as personnel from road policing units, armed support units and the Garda Dog Unit assisted in the operation. In all, 15 people were arrested by gardaí. The same number of residences were searched. Gardaí executed nine bench/penal warrants, and conducted six checkpoints. Controlled drugs worth an estimated street value of €85,000 were seized, consisting of three kilos of cannabis, 23 mature cannabis plants and smaller amounts of cocaine, MDMA, xanax and cannabis. 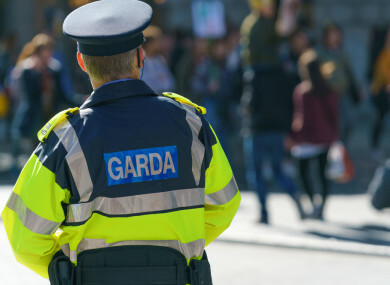 One person remains in custody at this time under Section 2 of the Criminal Justice (Drug Trafficking) Act 1996, and gardaí said investigations are ongoing. On the garda website, it says that Operation Thor “actively targets organised crime gangs and repeat offenders through co-ordinated crime prevention and enforcement activity based on intelligence and the latest burglary trends”. Email “Gardaí arrest 15 people in Wexford and seize €85,000 worth of drugs during sting operation”. Feedback on “Gardaí arrest 15 people in Wexford and seize €85,000 worth of drugs during sting operation”.